Image via the WSJ Magazine. Photo by Dan Jackson. Styling by Tina Laakkonen. 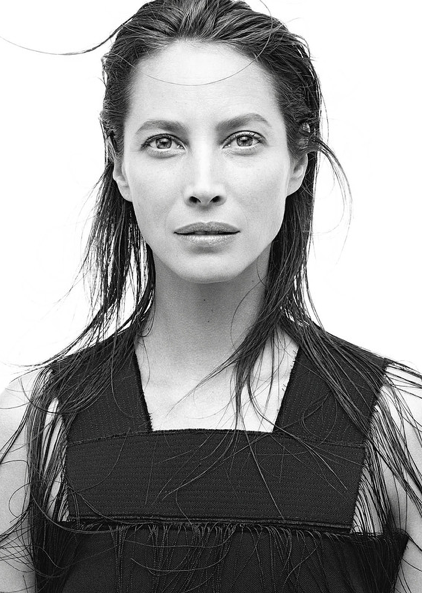 I'm thinking Christie Turlington Burns might be the most beautiful women of our generation... What say you? Jos, the new site looks fantastic!! A little b'day gift, eh? Love it. I have thought the same...for some time. This woman makes each progressive decade look effortless. She's beautiful inside and out...her work with Every Mother Counts is remarkable. saw them in the lodge at Sun Valley after ski day with no stylists. they are both gorgeous! agreed. always has been my favorite model - i think she's stunning. i remember her photo for GAP red - chopped hair, red tank - ichopped my hair b/c of that during that time. love her. ps..happy belated birthday! mine was ont he 9th...i'm 38 - your posts going towards 40 have been an inspiration - something for me to feel good about even if it's 'challenging' in many ways. thanks for keeping it real and beautiful.